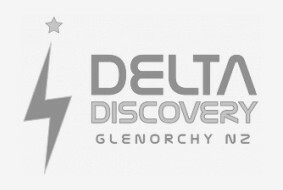 A two hour self drive tour on the Dart River Valley Delta. Drive our 3 seat electric 4WD UTV loaded with interactive GPS technology to guide you along a 10km trail to discover the wildlife, history, LOTR locations, and landmarks of this stunning wilderness area. Electric vehicles mean comfort, safety and silence with no pollution to the environment. 4WD UTV, GPS system with interactive multilingual computer, Jackets, Binoculars. Refreshments available. Free pick up from Glenorchy available if required. Guests can be driven by a guide at no extra charge if they prefer. Sensible footwear, sunscreen and cameras. Suitable for all ages, but the driver(s) must hold a full driving licence. 2 hours, including a pre-tour briefing. Take cycling to the next level by experiencing some of New Zealand's most stunning scenery on one of the best Electric Mountain bikes on the market. This is the only place in NZ where you can get to grips with the Haibike Fat Six 9.0, with performance and handling which will leave you grinning from ear to ear. The 50 KM trail is a mix of gravel and dirt through pristine beech forest, rolling river and lakeside hills, with views to leave you speechless. Tours start at 11am and take between 3 and 5 hours, depending on how you wish to pace yourself, to enjoy the magnificent native flora and fauna. Helmet, Jacket, Camel Back Daypack, Gloves, Goggles, GPS Smartphone. Full instruction and pre ride briefing. Suitable footwear and shorts/trousers, sunglasses, sunscreen, camera and a Camel Back bladder or water bottle, snacks. Although the bikes make light work of the trail and hills, this is a demanding activity and only suitable for currently active and competent riders with off road experience and used to regularly cycling similar distances. Minimum age 16, height 158 cm, (5 ft 2"), 120 KG. Tours run all year round but are dependent on conditions and weather, (for example flooding, heavy rain or high winds). We will always do our best to reschedule when necessary, but if this is not possible, will offer a full refund.